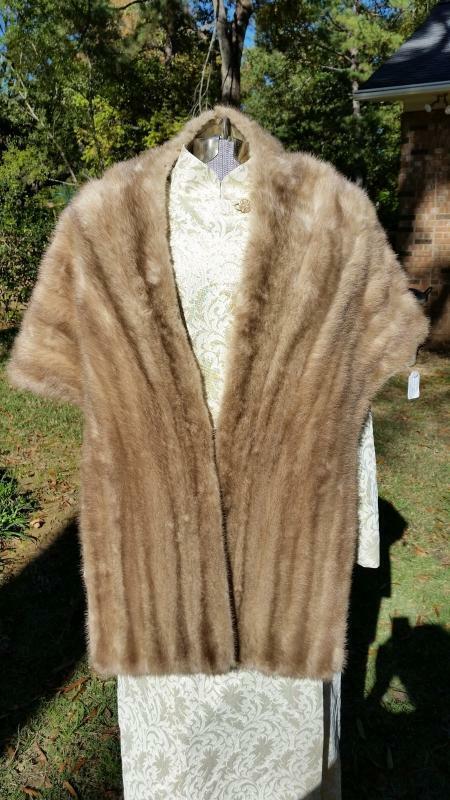 Lovely silver brown mink stole made by Mawson DeMany of Philadelphia. Measurements: 20" from back collar to bottom hem, 17" shoulders, and 32" down the center. It has a hook and eye closure down the center. 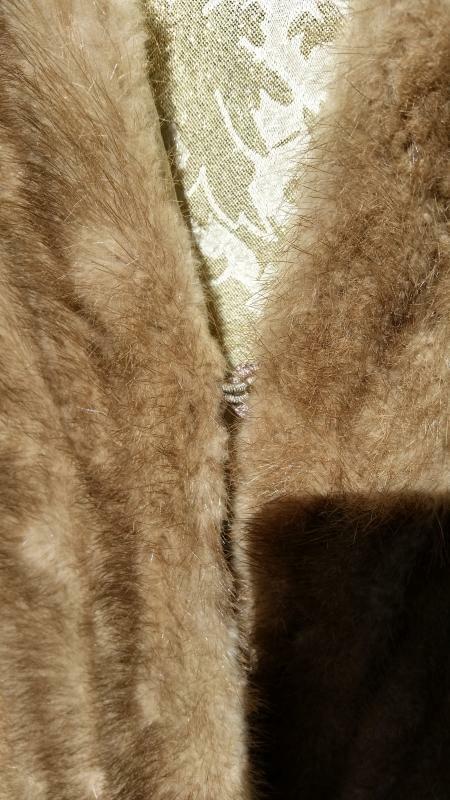 The lining is a gray tan satin with a scattered floral pattern on it, and there is slight wear on each side near the shoulder level. 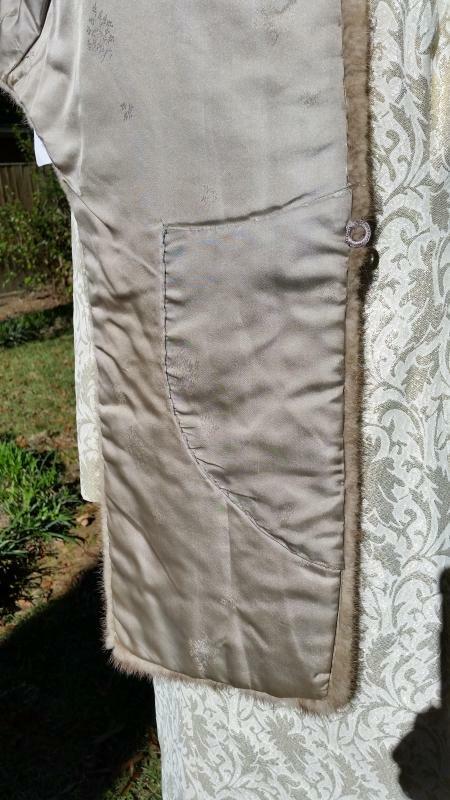 There is a pocket on the inside left flap. 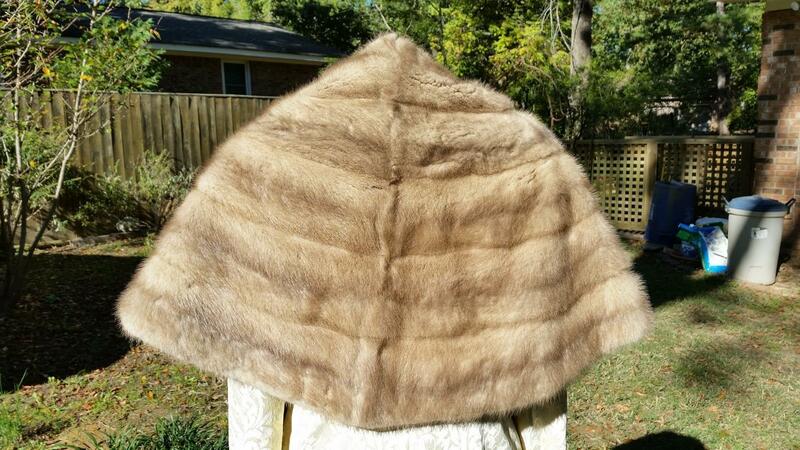 The fur is nice and soft and in great condition. 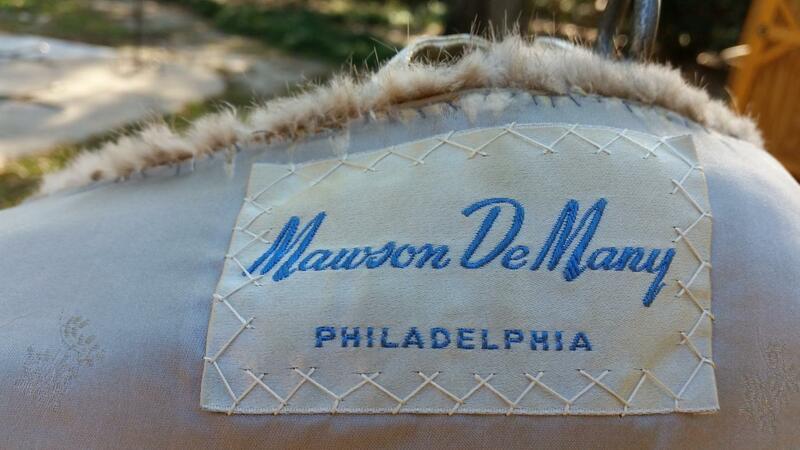 Items Similar To "Mawson DeMany Silver-Brown Mink Jacket"